This year, Oscar nominations will be announced on Thursday, January 14th. As a result, most of the corresponding guilds won’t have announced their picks by then, so I’m making predictions in advance without being able to take those into consideration. I’ll be offering detailed predictions in most of the major categories, saving some of the biggest categories for last. 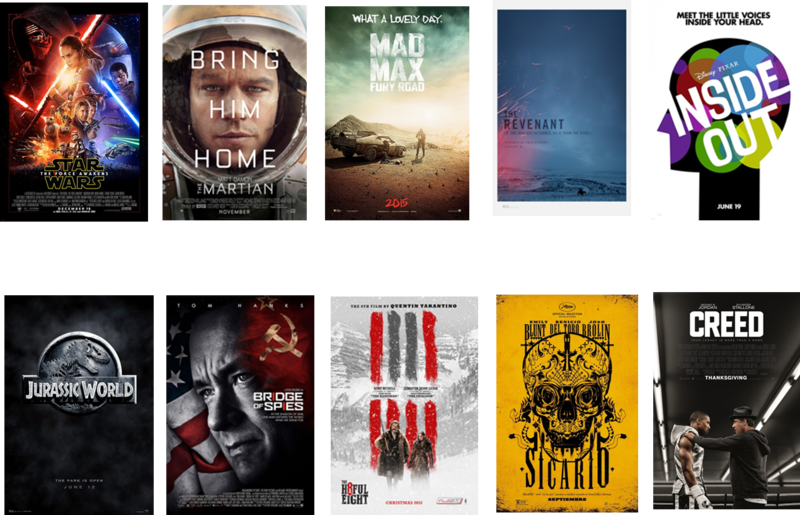 The rundown: Some films seem like sure things and then don’t get nominated, so I’m really not sure what to predict here. It’s hard to imagine Star Wars: The Force Awakens not making the cut, and while I’m somewhat unwisely predicting The Revenant to be snubbed for Best Visual Effects, it should have no trouble getting in here. Best Picture contenders Mad Max: Fury Road and The Revenant should also make the cut, and if I’m betting historically, I’d put my money on animated crowdpleaser Inside Out over a handful of other films that could well bump it. One possible crazy scenario: A film you’d never expect to be here, like Spotlight, shows up. Forecasted winner: Give it to Star Wars!